I’m going to assume you’re here because you want to study less. Me too! Going back to school as an adult is stressful and overwhelming. It’s easy to feel out of control trying to balance everything. Earning my graduate degree online while working full time taught me that it was possible to fit in school no matter what else was going on at the time. 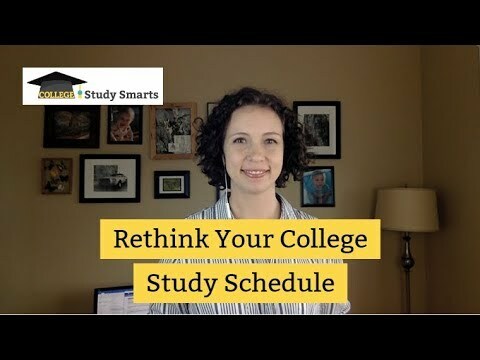 It challenged me to be creative with how I scheduled my study time. And it totally worked for me. You can be a successful student without studying eight hours a day. You will always feel like you’ve got a lot going on (’cause you do! ), but you don’t have to feel out of control. In order to maximize limited study time, you have to be intentional about when you make time to study and how you focus during study sessions. Start by optimizing your calendar. Download your free study planner to help map out your day and identify study times. We’ll look at all of the commitments you have and think creatively about where to fit in small windows of study time. When you sign up for the free study planner you’ll receive both a printable PDF planner and an Excel file to be flexible with how you prefer to work. Once you have it all mapped out on the tool, merge the two together. Where can you fit in the needs around your committed schedule? Commit to completing the non-time-sensitive tasks at a specific time. Then stick with the plan and you accomplish everything you want to for the day. It’s a very simple strategy and will absolutely work if you spend a few minutes before each day to create a plan. What Does It Look Like To Study Less? This plan is totally do-able and still leaves time to work my full-time job, cook dinner, eat with my family, and relax before bed. I’ve just put in 7 hours of studying for the week without breaking a sweat. If you want to earn great grades, you need to also fit in some longer blocks of study time on the weekend or a slow night at home, but these small blocks of time are significant and steady progress allowing you to get better grades. If you only rely on studying on the weekend you will continue to struggle. And the best news is by studying this way it will NOT feel like you spent a lot of time on school work. Bonus: this approach also provides repetition throughout the day which boosts retention. That means you will naturally start to remember more of what you study simply because you are seeing it throughout your day. When homework doesn’t feel like an overwhelming task you will stay motivated and find you slip into procrastination less and less. Wake up tomorrow with intention and put your plan to work! Rule the world! I exaggerate a little…but it will feel like this. I am studying a QA course. Lots of theory and some practice. At the end you must pass the istqb foundation exam.